The terms and conditions of this site have been updated to incorporate information regarding the General Data Protection Regulation (GDPR) which comes into force on 25 May 2018. Continued use of the site is taken as acceptance of the updated terms. All applicable test methodologies pertaining to the specific technology are available from the test methods webpage. Manufacturers must request the creation of a user account via the “Register” option, this involves assignment of a Primary User, who is authorised to act on behalf of the organisation. Once a manufacturer has a user account created, via the Primary User, they may assign a Secondary User, view and amend details, and submit applications via the “Application Functions” option. They must first have “Assigned Brand Names” to link with the product application. Prior to an application for listing, applicants should read and agree to abide by the "Terms and Conditions applicable to the listing of individual branded product performance data as an input to the National Calculation Methodologies for dwellings." 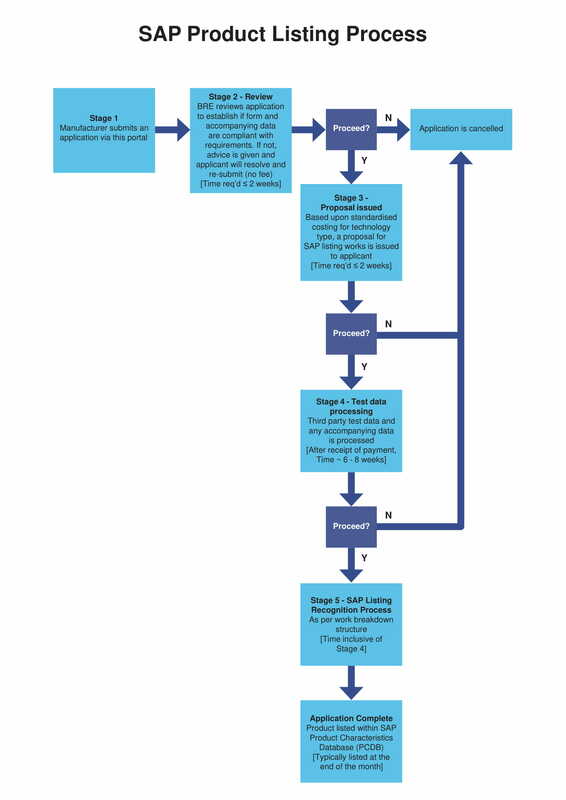 The process for listing a product on the Product Characteristics Database (PCDB) is shown below. * Note that by accessing this website a cookie will be stored on your computer for the period of the session. When the browser is closed, the cookie is deleted automatically. 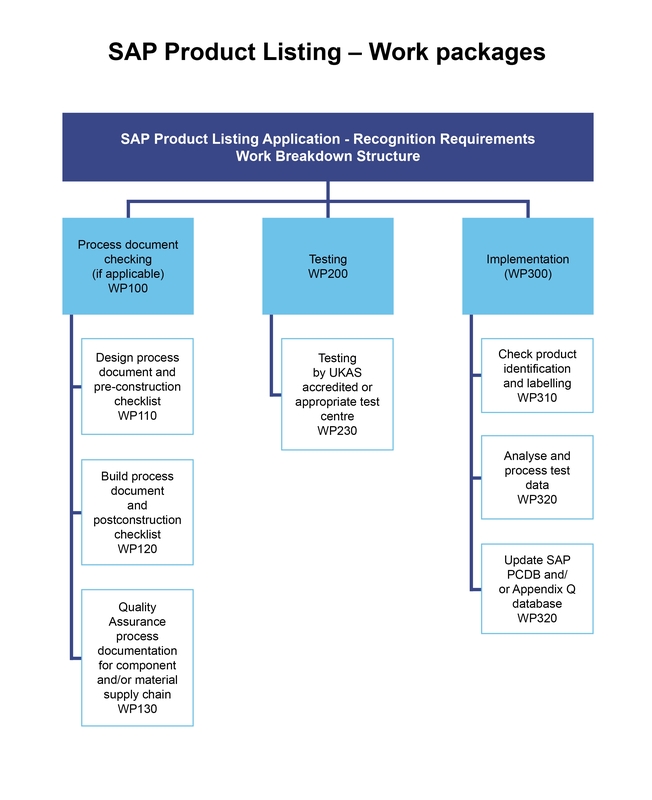 The SAP Product Characteristics Database Application Portal does not capture or store personal information from site visitors, other than to log the user's access in the normal practice of maintaining site security.